When HVAC contractors look for marketing services online they usually search Google. The companies that come up in those searches have clearly optimized their own websites which is why they are ranking on page one and why you clicked on them. But just because their own site is optimized doesn’t mean they will optimize yours (to the same degree) if and when you become a client. Independent researchers noted specific cases where client websites did not meet even close to the standard set by the company website. This dynamic is very misleading to prospective customers who are expecting the same type of optimization effort on their own site. Pitfalls of working with SEO companies are not new. Lip service is a fairly common occurrence for web geeks. Understanding how to weed out the bad ones can pay off in the end. Achieving Maps placement is important but it is not possible without reviews. 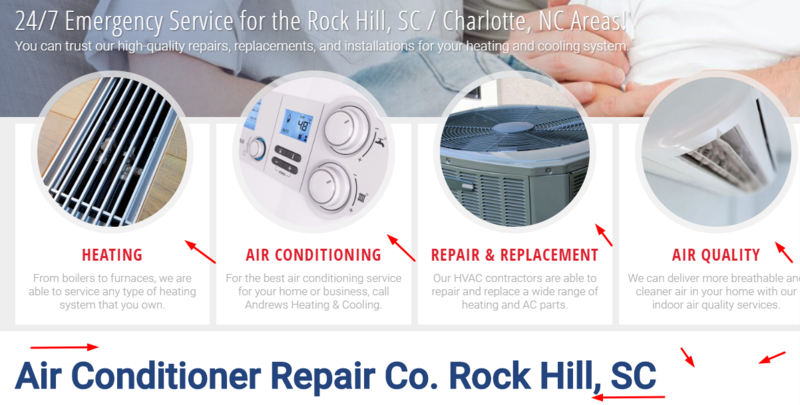 Google prioritizes HVAC businesses that have established a reputation through reviews. Generating reviews is not an easy task necessarily but it is a relatively simple one. 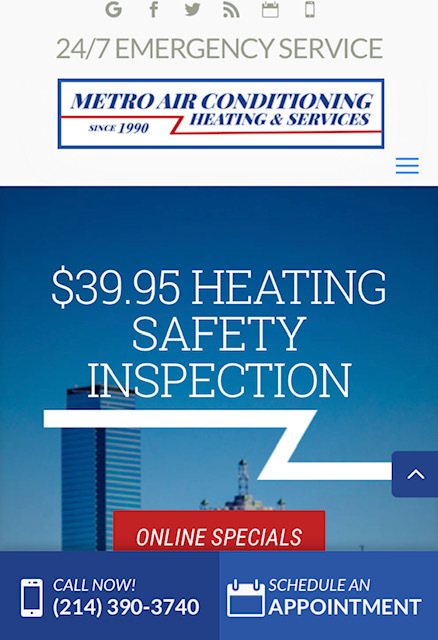 As a client of HVAC Webmasters your website includes our Righteous Reviews widget which allows customers to leave a review directly on your website which is than distributed to Google, Facebook, or Yelp. Also, the widget populates existing reviews of your company from those same platforms and displays them for all visitors to witness. The best way to get someone to leave a review on your website is to ask in person. 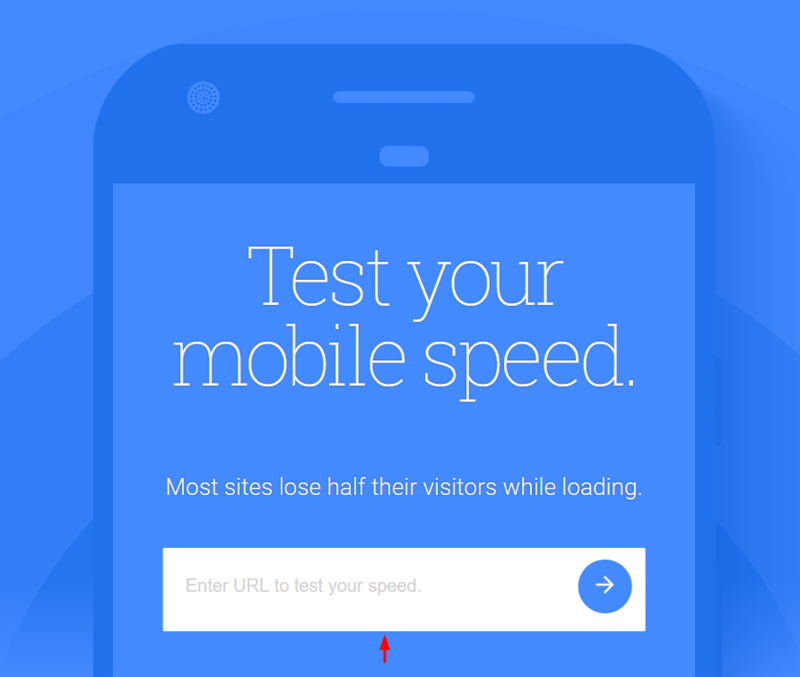 Websites that optimize typically have deep, heavy content. That means multiple in-depth pages explaining different aspects of their services. That means weekly or monthly blog posts that provide valuable and informative reading material on the subject matter. A one page website will never optimize to its potential. For Google to acknowledge a website as an authority on a topic, it must showcase its relevance over and over again. Good content is not a one time action, it must be written and published consistently including with relevant internal links to enhance user experience. For HVAC companies many clicks will come from Google Maps. 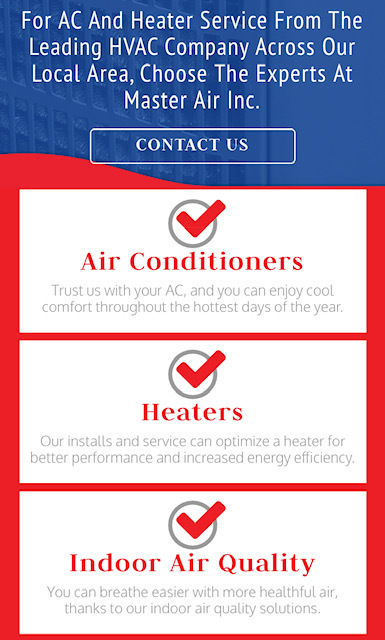 The Local 3 Pack appears on search results for HVAC related queries and if you are properly optimized can generate a substantial number of leads. Since The 3 Pack is showcased above traditional organic results, customers are more likely to click them. It is estimated that close to 70% of searchers click organic results over PPC ads but Google Maps listings are included as part of “organic” results. The best part about being included on the Local Map Pack is that you’re likely to also be on regular organic results. As a full digital marketing agency our team provides advertising services in addition to SEO. 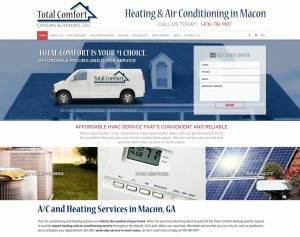 We help HVAC contractors with their Google and Facebook ad spend and attempt to maximize revenue from that technique. While ads can certainly be helpful, organic clicks still provide the greatest ROI which is why we believe so strongly in them at HVAC Webmasters. Because organic results are achieved through a series of optimization tasks they do not require the same kind of fixed payment that PPC advertising does. SEO is sustainable so organic clicks will continue to yield profit over time. 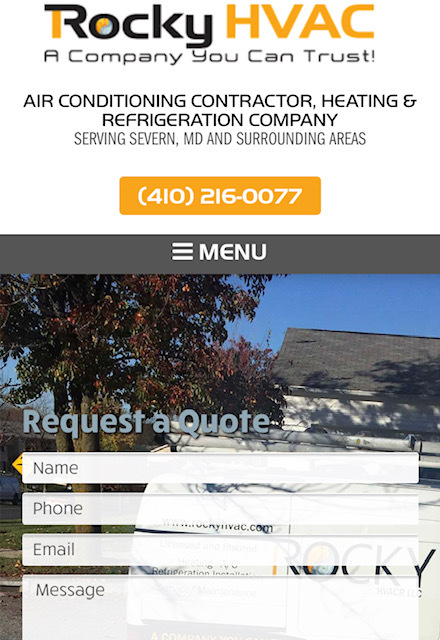 Is Your HVAC Website Optimized? 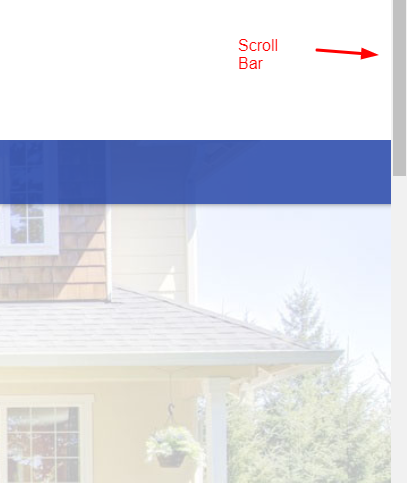 Sometimes contractors don’t know whether or not their site is optimized. They certainly are aware of the amount of leads they are generating but may not be able to identify what is working and what is not working on a website. That’s why Google Analytics and Google Search Console are very important tools for all business owners. HVAC companies must see tangible results in the form of organic clicks. The good news is that Google Analytics can be set up on any website, free of charge. 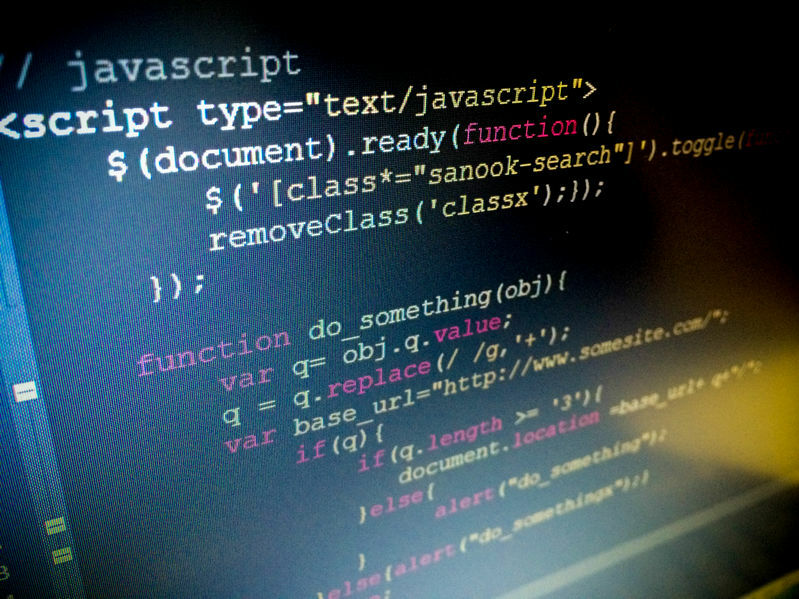 With the tracking code live on your website, you will know definitively how much traffic it is generating. If it happens to be showing lots of clicks but you are receiving minimal calls, the issues with your SEO campaign could have more to do with conversion. Still, the SEO process is not truly complete until it completes the job of generating a lead. Having a professional perform an SEO audit of your website can be helpful but make sure they are providing you with legitimate information and not just lip service. There’s many in the industry who claim to be SEO experts but the only way to find out for sure is to ask tough questions about their business. You will find that when an SEO company is trustworthy they won’t oversell their service. Instead they will try to educate you on how their service works and help you understand whether or not it is a good fit for your company. On today’s episode of The HVAC Marketing Podcast, owners Nolen and John explain the process of identifying a legitimate marketing company for SEO services. Are You a Specialty SEO Company? A good question to ask for HVAC contractors is whether or not the SEO company specializes in a specific niche. 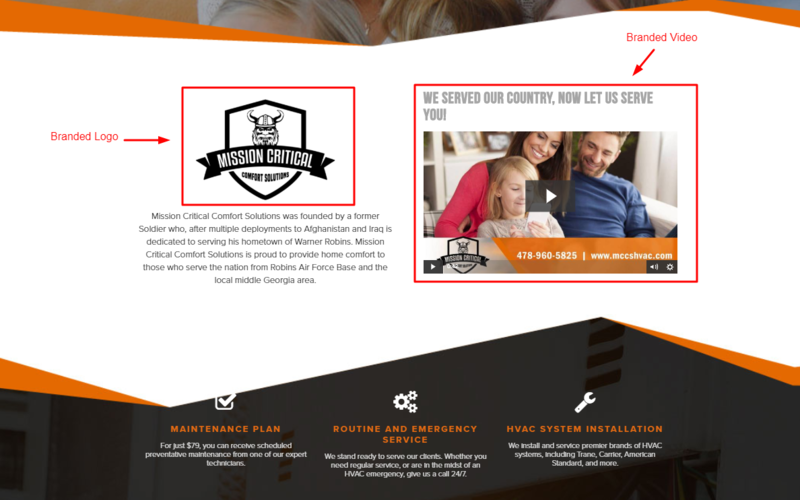 For example, HVAC Webmasters specializes in marketing for HVAC contractors. While a specialty doesn’t always equate to a high quality marketing company, it is certainly a point in their favor. Experience promoting similar businesses is a clear advantage over those who have only represented other kinds of industries. You might also ask if the specialize in a certain “type” of SEO which is normally a red flag. Do You Provide Original Content? 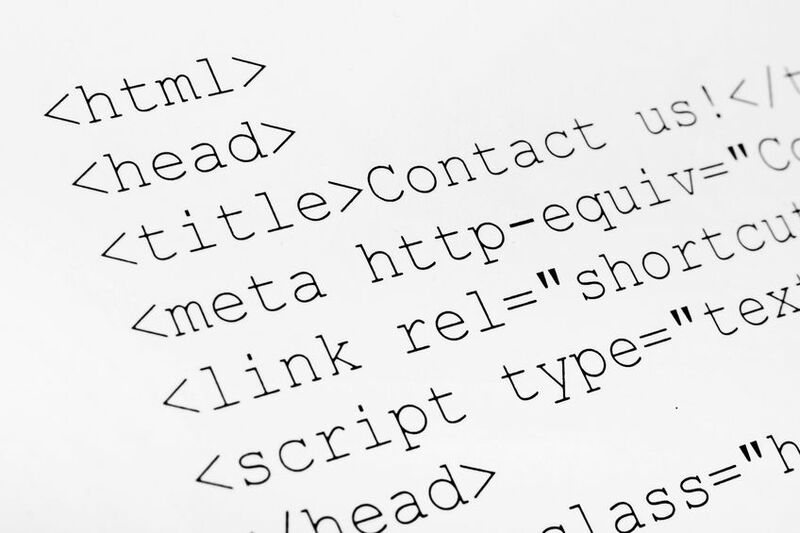 A website without content cannot maximize its SEO. But some contractors mistakenly believe their site already has content. While there may be text on the pages, it is often copied from other sources and rendered null and void by Google. You can check if your page content is scraped by visiting Copyscape. You can have a lot of content and not have any rankings. After all, why would Google want to show the same content as another page that is more well established and more relevant? Also, ask them if they have writes on-staff. 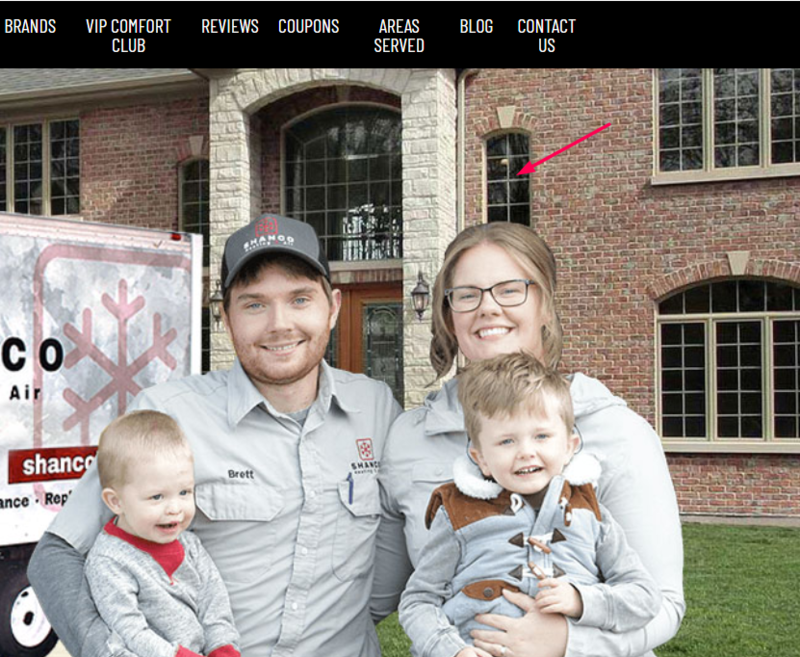 The best thing you can do as an HVAC contractor is catch an SEO expert in a lie. They might not be transparent about their billing process and use black box billing to forward your SEO payments towards pay per click marketing. While it might get you calls early, it will not sustain itself over time because the money you paid for SEO is a monthly fee. If you notice that your SEO suddenly stopped working, you’ve been worked. Ask them upfront how their billing process works and weather they use SEO money for other tasks. Marketers will use every trick in the book to mislead wide-eyed contractors for financial gain. Here are some of the most common ones. The shell trick started when “real SEO” quit being done. This occurrence took place around 2014 when Google’s algorithm raised its demands for what it took to rank a webpage online for relevant keywords. Fast forward to 2019, and implementing quality SEO is more difficult than ever. As a result, marketers have offered packages that breakdown costs into different shells. They will say that SEO costs x amount, mapping costs x amount, PPC costs x amount, etc. There is no all-inclusive packages with the shell trick which is its inherent problem. Big marketing firms will shame customers who are unwilling to invest in each shell. When SEO is done right, it includes all aspects of it and doesn’t need to be broken down into a bunch of different categories in its pricing structure. Marketing companies often present their services as a detailed procedure involving in-depth website management and optimization. The reality for many is that their payment is a glorified hosting fee. 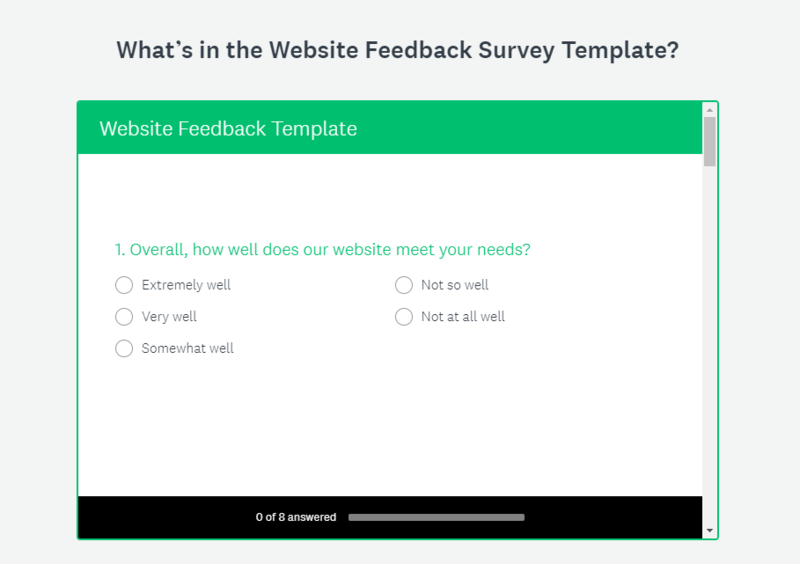 You receive a decent-looking template website that is rarely worked on and are then sent monthly reports generated by 3rd party tools like SEMRush, AHRefs, MOZ, or others. Many of these reports are confusing but do enough to appease the average HVAC contractor for the time being. Not because the HVAC contractor is gullible or unintelligent but because they are being mislead by professional manipulators. Worse yet, big marketing institutions will shame companies who question the results of their services. If you pay $5,000 to invest in a PPC campaign, many marketers will hold on to $3,000 of it, claiming that it is going towards your other parts of the shell in the aforementioned shell trick. Since you pay the marketer directly, and not Google Ads, you are at their mercy. There is no transparency involved with these transactions but it does cause HVAC contractors to get screwed out of their hard earned money. If you ask why you aren’t performing well, many marketing companies will shame you into spending more. The worst part is that the $3K being redistributed does not actually go towards quality work (in most cases) so there is really no advantage whatsoever to working with these kinds of SEO firms in 2019. At HVAC Webmasters, we do SEO the right way. Never once have we utilized any of the tactics listed above, nor have we shamed contractors into believing that their lack of spending is the reason why marketing services lack quality. As an all-inclusive SEO agency, we perform everything from custom website design to full search engine optimization, which is all included in our SEO package. 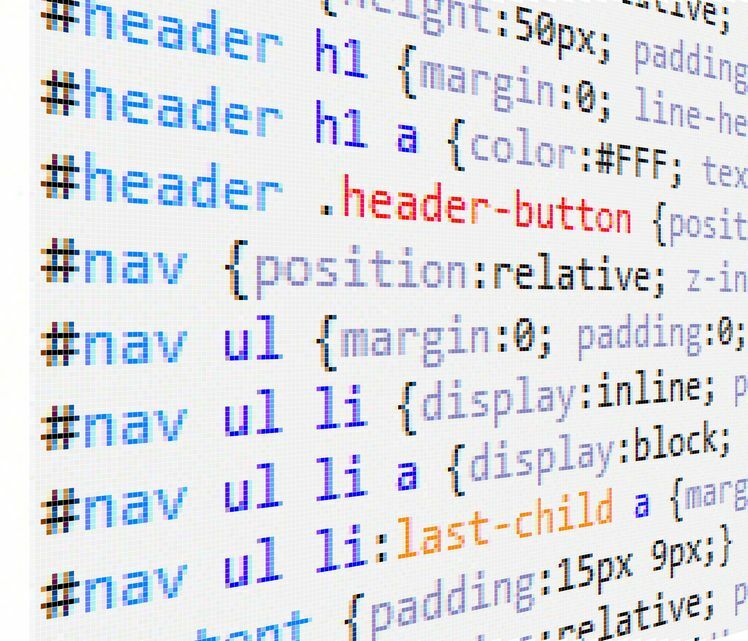 We even do custom coding, schema markup, content writing and marketing, as well as regular site work. Having worked with HVAC companies for the better part of the decade, we have built a great rapport with the industry and understand how to best market those services. Prior to the internet, HVAC companies would employ people to hand out flyers door to door. While this strategy might’ve been somewhat effective in 1969, you could not work an employee more than the maximum number of hours in a day because of federal and state level regulations. But what if HVAC companies could have a 24/7 employee who generated leads at all times of the day and night? They can by investing in Search Engine Optimization (SEO). That’s right, SEO serves as an effective employee for HVAC contractors who are looking to acquire customers in their local service area. Whether it is Google Maps or organic results, SEO can pay major dividends for companies in 2019. Best of all, SEO never turns off, making it a non-stop lead generator for heating and cooling companies. Organic SEO consists of many elements. One of the most important for HVAC is local SEO. Since HVAC companies are usually local, targeting consumers within in a defined radius creates the most favorable ROI. But local SEO is not the only aspect of optimization. On-page, Off-Site, and Technical SEO also collectively influence a company’s search visibility. Obviously, the more well represented you are on Google SERPs the more valuable of an “employee” that SEO becomes. Think of it like a salesperson who converts at a high rate. You would pay them more than the person who only gets one lead per 1,000 consumers. The great thing about SEO, is that once you establish rankings, the lead generation process can become an ongoing asset. Consumers have never before in history had so much access to A) an internet connection and B) a device on which to access it. Most public places have WiFi connections, and most Americans have a mobile device of some kind on their person. Even at times when people are away from a WiFi connection, phone carriers allow for internet access through their servers. The bottom line is this, a considerable amount of consumers can now access the net 24/7. What this means is that a search for HVAC services can happen at literally any time, and with SEO, your search results will be there waiting for when it does happen. The higher the search ranking, the more times users will view and click on your search result, and ultimately enter the sales funnel. Is Organic SEO Cost Efficient? Knowing that the quality of an SEO strategy can make or break its effectiveness, HVAC contractors should understand what it takes to plan a strategy that is projected to succeed. A proper SEO strategy consists of keyword research, URL structuring, and high quality content writing. Other supplementary factors also play a role, such as; website design, link building, and geo-mapping. 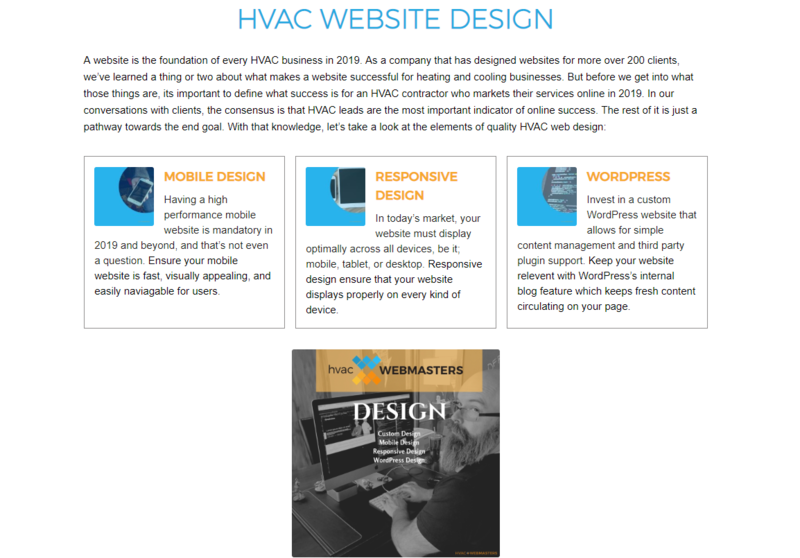 HVAC Webmasters can develop a strategy on your behalf and then execute it with our team of 20 webmasters. We’ll identify the top primary keywords in your market and target them with pages which are properly structure into a logical URL hierarchy. We will then write content that matches the industry standard and appeals to readers and search engines alike. Finally, we will regularly monitor your organic process using Google Analytics and Google Search Console and make any changes dictated by suggestive groups of data. Tools like MOZ Keyword Explorer, SEMRush, and UberSuggest can provide keyword volume, competition, and opportunity. When searching for keywords, HVAC companies should only target those that have buyer’s intent. What that means is terms that insinuate an intention from the searcher to buy your service. An example of this would be “ac repair service” which implies that they are looking for a service. A counterexample is “ac repair diy” which indicates the searcher is looking to fix the appliance themself rather than pay someone else to do it. Buyer intent keywords are more valuable to HVAC contractors because they are easier to convert into paying customers instead of having empty web traffic for the sake of it. Keywords should be structured within categories and subcategories to form a URL structure. 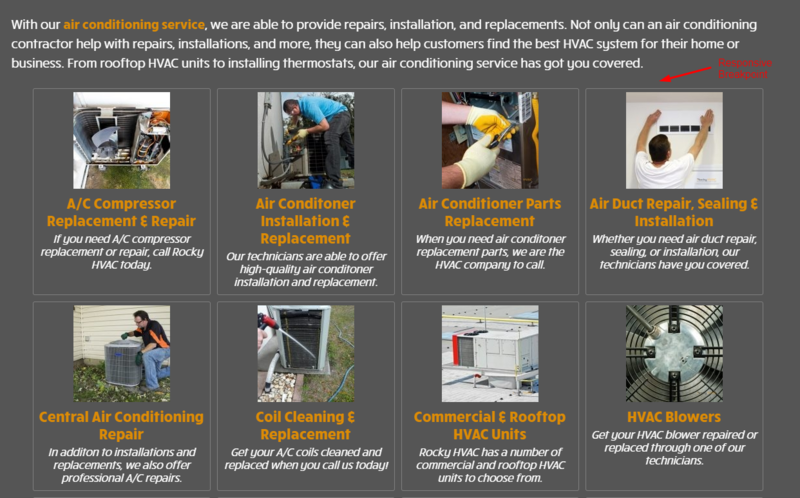 For example, AC Repair might be a top level page and a main keyword. AC Coolant & Leak Repair might be a subcategory of that main page and go for a more specific and long-tail keyword. Google will then crawl the URL structure and understand that AC Coolant & Leak Repair is a subset of AC Repair. Not only does this help Google index your pages for favorable search rankings but it helps users navigate the website logically and helps them find the precise page that they are looking for. Keep URL slugs aka permalinks as short as possible while still explaining the topic of the page. An example of this would be hvaccompany.com/ac-repair/coolant-leak. You’ll notice that any stop words like “and” are removed from the permalink since Google crawlers ignore them anyway. Content remains one of the most important aspects of organic SEO. Google stresses that unique, engaging, and valuable content will separate itself on search rankings. Part of an effective SEO strategy is writing content that meets this criteria. For it to do so it must be written by professional level writers with a knowledge of both the HVAC industry as well as best SEO practices. Good content is not always easy to find, especially when you are looking for someone who has both of the criteria mentioned previously. 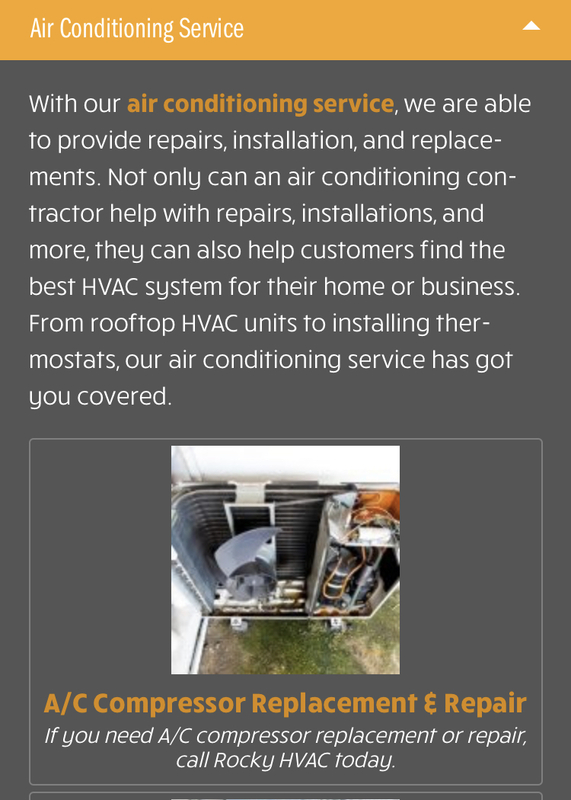 HVAC Webmasters can write this kind of content for each page and blog post on your website. Marketing companies have mostly abandoned the fundamentals of SEO in favor of less effective but more salesworthy tactics. Find out the nuances of why these companies are leading clients down the path of most resistance and what can be done to steer clear. 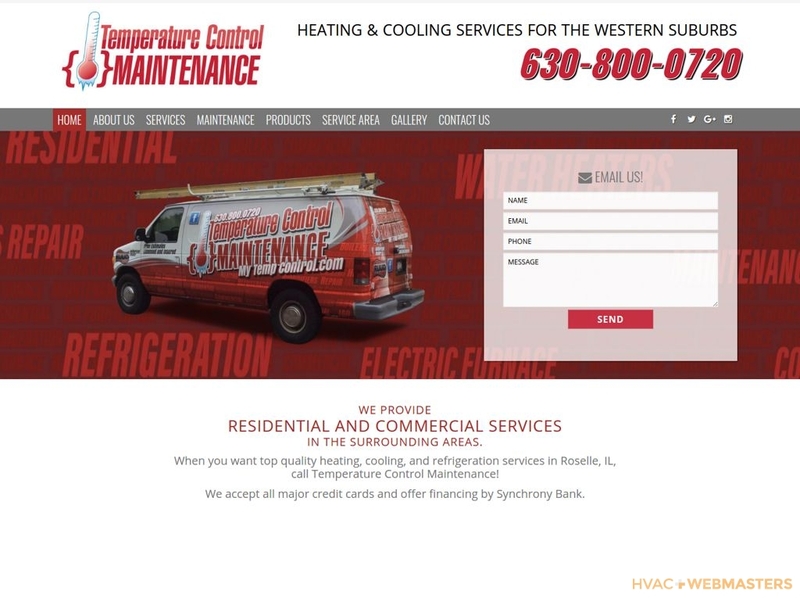 HVAC Webmasters has been marketing for contractors for the better part of the last decade and we’ve seen it all when it comes to search optimization.